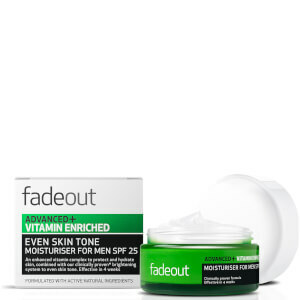 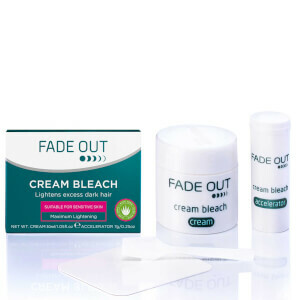 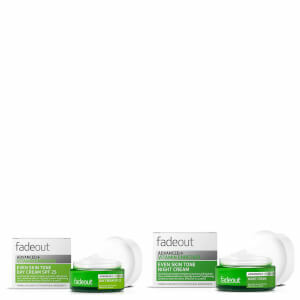 Shop the range of skincare from Fade Out here at Mankind. Created over 30 years ago, Fade Out was designed to reduce areas of pigmentation whilst hydrating and protecting the skin. 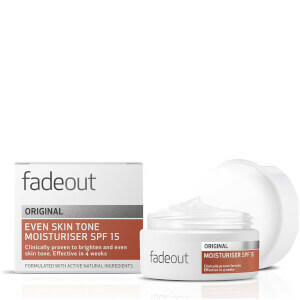 Clinically proven to moisturise and even skin tone, their innovative range of quality products will leave skin looking more even over time. Formulated using natural active ingredients, each product is effective without using harsh chemicals on delicate skin. Pigmentation is caused by a range of external factors. 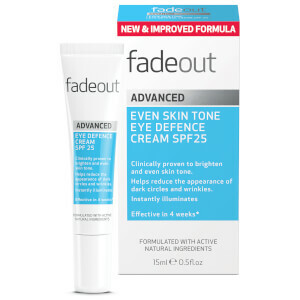 Sun exposure, ageing and hormonal changes can affect skin tone. 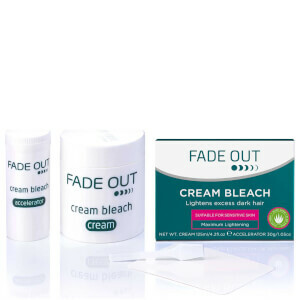 Skincare, fake tan and cosmetics are a great way to conceal pigmentation for a smoother, more even-looking complexion. 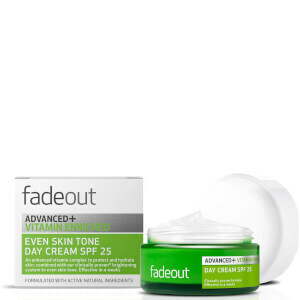 The Fade Out Extra Care Brightening Anti-Wrinkle Cream SPF25 is specifically designed to reduce areas of hyperpigmentation. Containing an effective blend of Hyaluronic Acid, Liquorice extract and Niacinamide, the plumping formula hydrates and nourishes the skin. 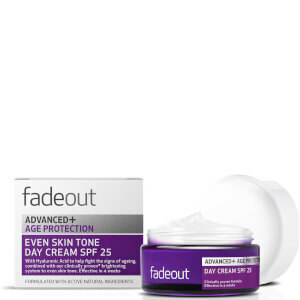 Made for all skin types, it combats dark spots and uneven skin tone whilst protecting against harmful UVA and UVB rays. Use continuously for an increasingly healthy and youthful glow.